Matt Talbot provides permanent supportive housing and case management for chronically homeless individuals and families through First HOPE, a Housing First program primarily funded by a renewable grant from the U.S. Dept. of Housing & Urban Development (HUD). Chronically homeless is a term that is used to describe people who have a disability (mental illness, substance use disorder, or physical disability) AND who have been homelessness for a year or repeatedly. Many live on the street, in a car or other location unfit for habitation. Brenda is one of our First HOPE clients. 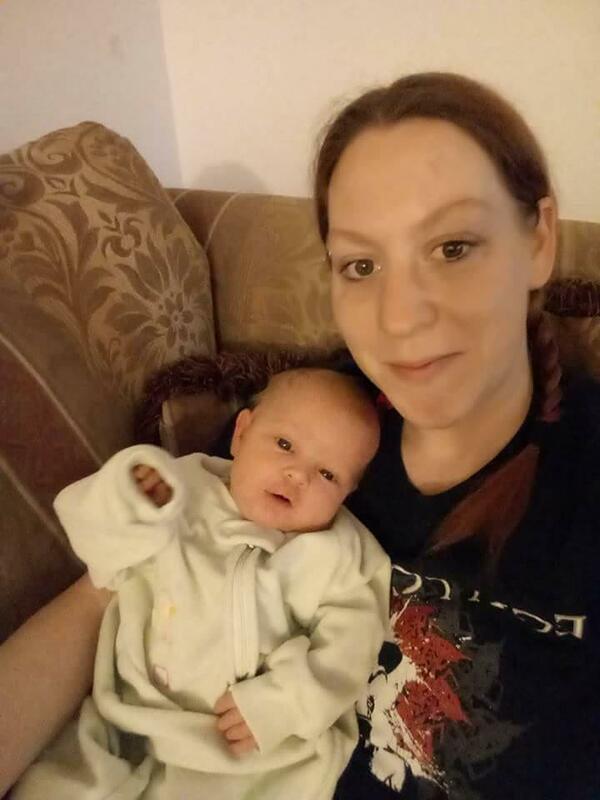 She was pregnant, living in her vehicle and coming to Matt Talbot for meals and showers. Through the First HOPE Program, an outreach worker was able to connect Brenda with an apartment and a case manager. First HOPE clients can stay in the program and maintain case management services indefinitely as long as they follow their lease agreement. Some clients may leave the program (but remain housed) when they become connected to resource programs such as SSI. Since beginning the program in 2016, 42 clients have been housed with only 2 returning to homelessness. This outcome is especially gratifying given the population’s struggles with disabling conditions and chronic homelessness. You can hear Brenda and Matt Talbot’s Executive Director Susanne Blue talk about First HOPE on KFOR’s Lincoln Live podcast page https://www.kfornow.com/lincoln-live-on-demand/.